Advanced rain protection when you need it most. 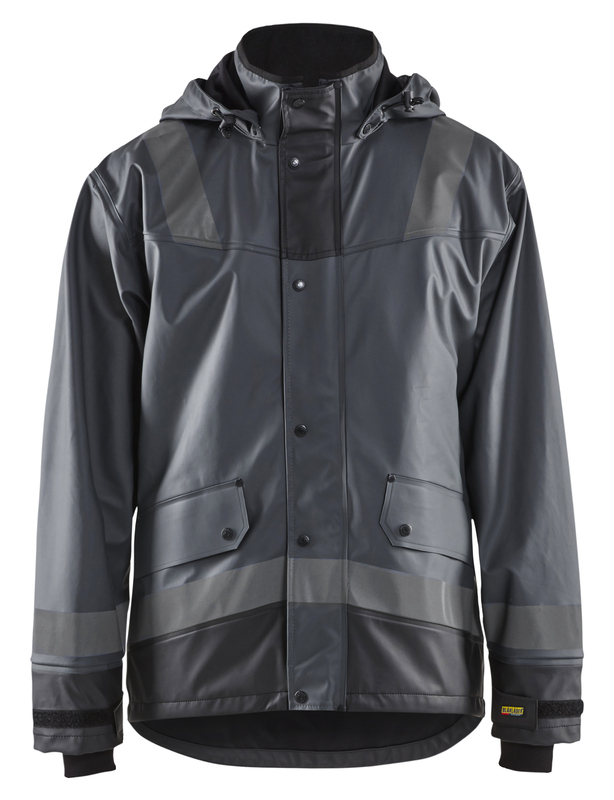 A rain jacket designed for professionals with high demands on performance and function. 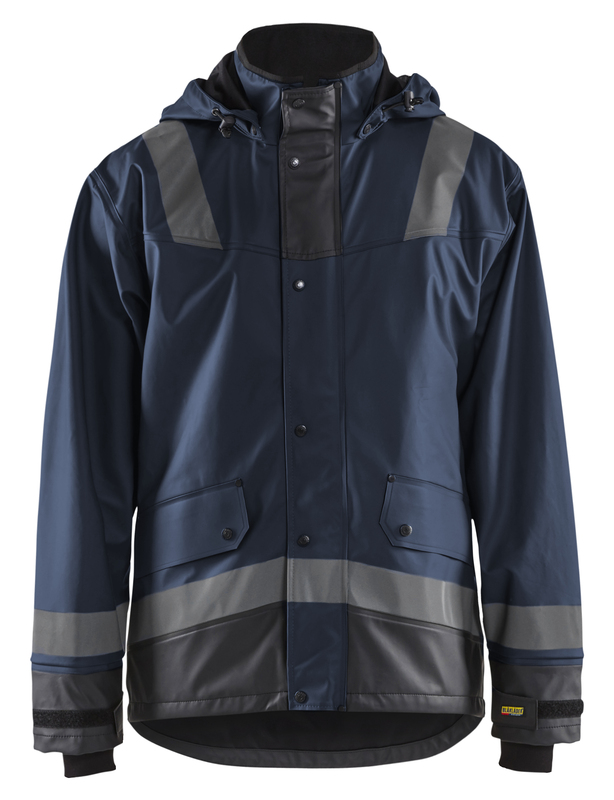 The jacket has a detachable helmet hood, soft fleece collar and hidden two-way zip at the front with a zip puller that goes all the way up to the collar, a front flap with storm buttons and press studs. The material is wind and waterproof with welded seams and ventilation in the back as well as several practical pockets to allow to you easily reach your tools. It is easy to adjust the fit with a drawstring, the sleeves have Velcro fastening and neoprene cuffs that prevent water seeping in. 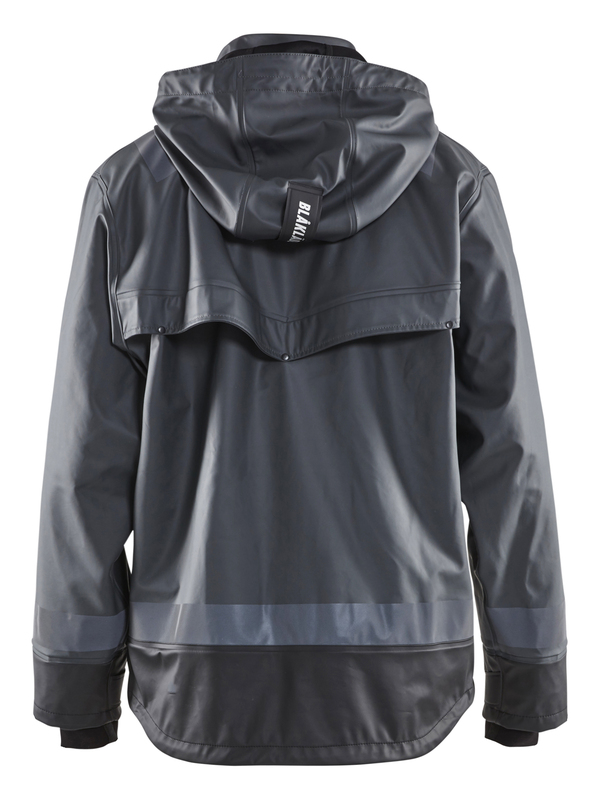 The jacket also has dark, discrete reflectors to make you visible in the dark. Certified to EN 343, Class 3.1, protection against bad weather.